Like all good travel websites, when looking for cheap car hire in Glasgow, we compare car hire Glasgow to bring you the best car hire Glasgow City Centre deals including, people carrier, MPV, SUV, convertible and luxury car hire as wells as van hire Glasgow offers. Which Car Rental Companies are Based in Glasgow ? Book your Cheap Car Hire in Glasgow directly with the best international car rental companies including Hertz, Avis, Enterprise, Budget, Alamo, Dollar, Arnold Clark, Easirent, Europcar, Firefly, Goldcar, Interrent, Keddy By Europcar, National,and Sixt – it’s that easy! Audi A1, Audi A4 Estate, Audi A6, Audi A6 Estate, BMW 1 Series, BMW 2 Series Active Tourer, BMW 2 Series Convertible, BMW 4 Series Convertible, BMW 5 Series, BMW X5, Chevrolet Spark, Citroen C3, Citroen C4 Cactus, Citroen C4 Grand Picasso, Citroen C4 Picasso, Fiat 500, Fiat 500L, Fiat Tipo, Ford Fiesta, Ford Focus Estate, Ford Focus, Ford Galaxy, Ford Mondeo, Ford Tourneo, Ford Transit, Hyundai i10, Jaguar F-Type Convertible, Jaguar XE, Jeep Grand Cherokee, Kia Ceed, Kia Sportage, Land Rover Discovery, Mercedes A Class, Mercedes C Class Estate 4Matic, Mercedes C Class, Mercedes Citan, Mercedes E Class, Mercedes E Class Estate, Mercedes Vito, Mercedes Vito Travelliner, Nissan Micra, Nissan Qashqai, Opel Astra Estate, Opel Astra, Opel Corsa, Opel Crossland X, Opel Insignia Estate, Opel Insignia, Opel Mokka, Opel Zafira, Peugeot 308, Peugot 3008, Range Rover Evoque, Range Rover, Range Rover Sport, Range Rover Velar, Renault Captur, Renault Kadjar, Renault Master Cargo Van, Seat Alhambra, Seat Leon, Skoda Octavia Estate, Skoda Octavia, Skoda Superb, Skoda Superb Estate, Toyota Aygo, Toyota Rav4, Volkswagen Caddy Combo Van, Volkswagen Crafter Cargo Van, Volkswagen Golf, Volkswagen Polo, Volkswagen Sharan, Volkswagen Touran, Volkswagen Transporter Cargo Van, Volkswagen Up, Volvo V40, Volvo V60 Estate and the Volvo XC60. If you want to book a car and add a bit more spice to your journey from Glasgow city centre then why not upgrade to a luxury car rental Glasgow. You can choose from a Jaguar F-Type Convertible or a BMW M4 Coupe. If you are looking for Van Hire in Glasgow City Centre, perhaps because you are moving to a new home, maybe you have some large furniture which needs to be transported from A to B, maybe you need a replacement van while your business transport is off the road, or perhaps you play in a band and need a van to transport all your musical equipment to your next gig or concert – we can find a van in Glasgow to get you where you want to be going. For your convenience you can select the following van hire Glasgow :- Volkswagen Transporter Cargo Van or the Renault Master Cargo Van (13m3). Just remember that with any car hire deals, the suggested Cheapest Car Rental Glasgow may not be the best value for money, so please take this into account when you consider any car rental discounts being offered for what seems like the cheapest car. 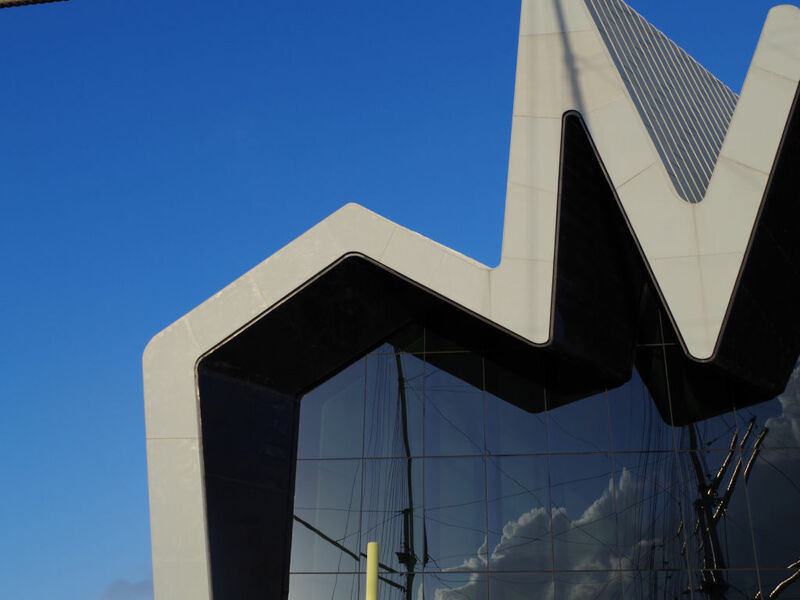 What Documentation Do I Require for my Car Hire in Glasgow City Centre? To help you rent a car, we have prepared a car hire travel checklist to help you with your Car Hire Glasgow City Centre reservation, but plan properly and avoid a headache. You will require a valid credit card, a valid photo ID (passport or national ID), driver's licence valid for 2 years and a printed version of the car rental voucher. If you do not present any of the documents mentioned, the documentation is not valid or you do not have enough funds on your credit card, the car rental agent may refuse to release the vehicle and no funds will be reimbursed to you. Glasgow Airport lies just over 10 miles along the reliable M8 motorway from Glasgow city centre. With the best music scene in Scotland, Glasgow bands such as Hue and Cry, Wet Wet Wet, Del Amitri, Texas, Deacon Blue and Simple Minds. Billy Connolly also started his career singing in the Glasgow folk clubs. 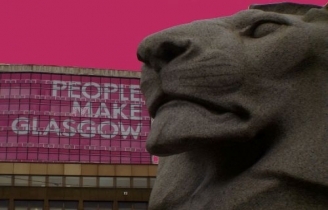 Although regarded as a tough, rugged city, Glasgow people have a reputation for being kind and helpful to visitors, hence the latest marketing campaign "People Make Glasgow". This was seen in 2014 when Glasgow hosted the most successful Commonwealth Games ever. Thank you for driving with us - please remember to visit our website at BestCarHire for the next car hire. At Best Car Hire we want to ensure that when you want the best car hire Glasgow that you get to compare the prices of the best car hire providers in Glasgow before making your choice. Using our car hire comparison site is easy just a few clicks and you have all the information you need at your fingertips. Car parking in Glasgow is relatively straightforward with many multistory car parks right in the city centre, and on street parking meters.